The Internet of Things (IoT), while still in its infancy, is shaping the future of many industries and will also impact our daily lives. Scientists have developed a novel microchip that can function under dim light using a very small solar cell, an advance that could power sensors to support the Internet of Things (IoT). The Internet of Things (IoT), while still in its infancy, is shaping the future of many industries and will also impact our daily lives in significant ways. 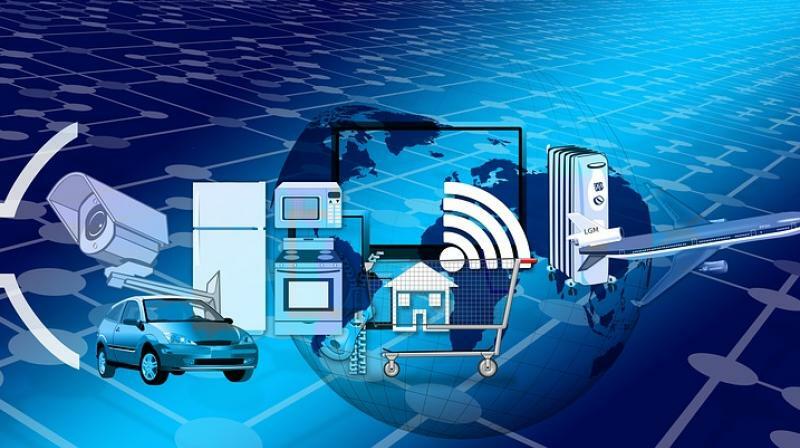 One of the key challenges of moving IoT devices from concept to reality is to have a long-lasting operation under tightly constrained energy sources, thus demanding extreme power efficiency. IoT devices — such as sensors — are often deployed on a massive scale and in places that are usually remote and difficult to service regularly, thus making their self-sufficiency essential. Currently, batteries in IoT devices are much larger and up to three times more expensive than the single chip they power. Their size is determined by the sensor node lifetime, which directly affects how often they need to be changed. This has an important bearing on maintenance cost and impacts on the environment when batteries are disposed of. To extend the overall lifetime, the battery is usually recharged slowly by harvesting some limited power from the environment, such as using a solar cell. However, existing IoT devices cannot operate without a battery, and small batteries are fully discharged more frequently. Hence, battery miniaturisation often results in highly discontinuous operation of IoT devices, as they stop functioning every time the battery runs out of energy. To address this technology gap, scientists from the National University of Singapore (NUS) developed a microchip named BATLESS, that can continue to operate even when the battery runs out of energy. BATLESS is designed with a novel power management technique that allows it to self-start and continue to function under dim light without any battery assistance, using a very small on-chip solar cell. This research breakthrough substantially reduces the size of batteries required to power IoT sensor nodes, making them 10 times smaller and cheaper to produce. "We have demonstrated that batteries used for IoT devices can be shrunk substantially, as they do not always need to be available to maintain continuous operation," said Massimo Alioto, leader of the NUS research team. "Tackling this fundamental problem is a major advancement towards the ultimate vision of IoT sensor nodes without the use of batteries, and will pave the way for a world with a trillion IoT devices," said Alioto, associate professor at the NUS. BATLESS is equipped with a new power management technique that enables operations to be self-started, while being powered directly by the tiny on-chip solar cell, with no battery assistance. The team had demonstrated this at indoor light intensity, equivalent to the dim light available at twilight. This makes BATLESS indifferent to battery availability, addressing a previously unsolved challenge in battery-less chips.